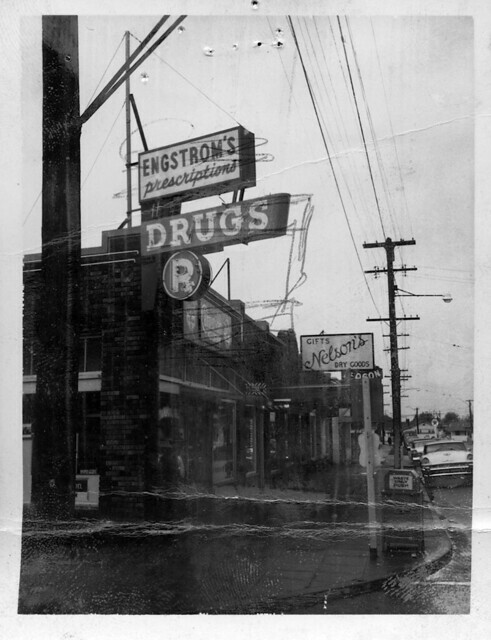 Engstrom's Pharmacy, 3067 Beacon Avenue, in 1959. 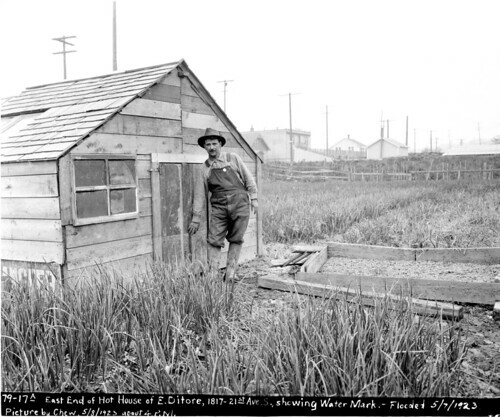 Photo courtesy of Seattle Municipal Archives. The same location today. 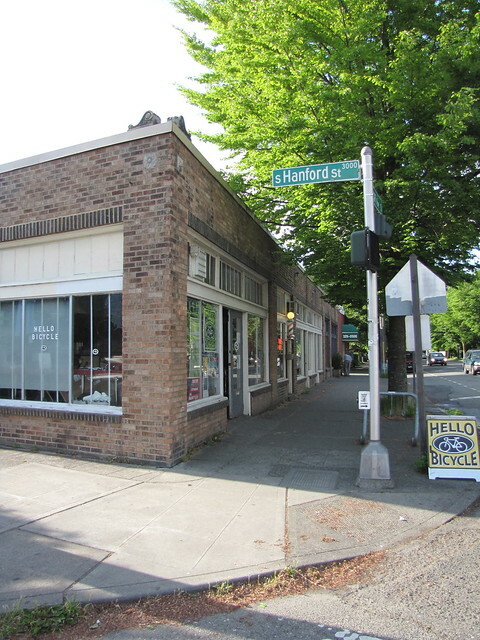 Hello Bicycle is in the old pharmacy location. Photo by Wendi Dunlap. 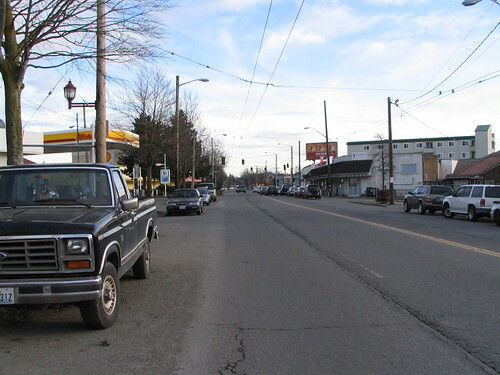 This is the intersection of Beacon Avenue South and South Hanford Street, looking north on the west side of the street. Beacon Hill is apparently much greener than it once was, at least as far as street trees are concerned. 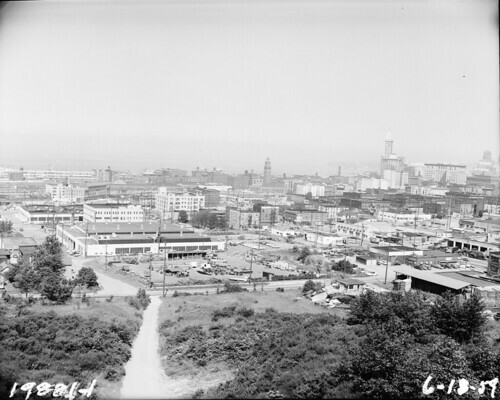 You can see that the 1959 view shows no trees at all. 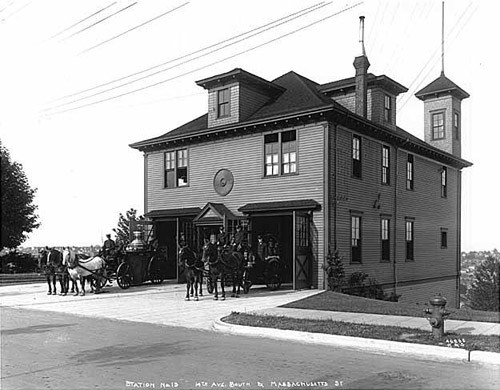 Another notable difference between Beacon Hill then and now is the pharmacy. The Hill currently has no pharmacies, but in the past there were quite a few, including Engstrom’s where Hello Bicycle is now located. 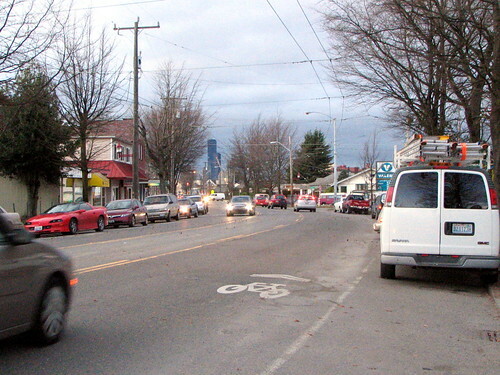 North Beacon residents could easily walk to their local drugstore for prescriptions or — as the sign on the front of the old pharmacy advertises — Carnation Ice Cream. Nelson’s Gifts is also gone, unfortunately replaced by a completely blank storefront. 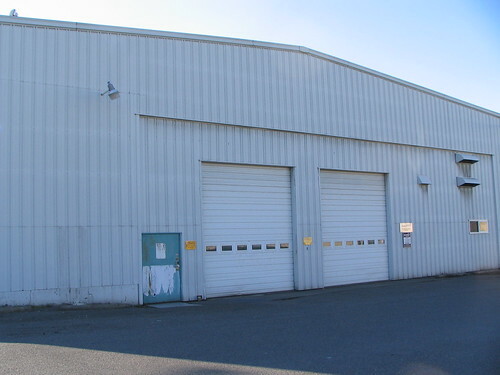 (We’re told it’s an art/design studio.) On the other hand, the shop one door north of the pharmacy is now exactly what it was in 1959: a barber shop. 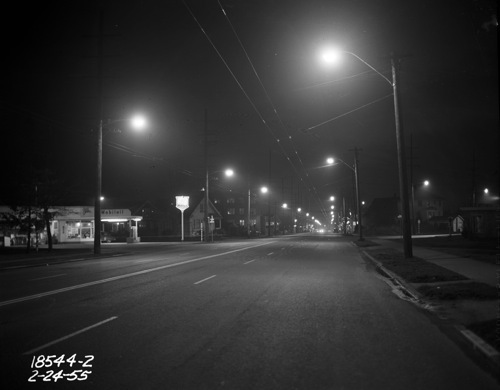 Hinds and 14th near Columbian Way, December 1956. 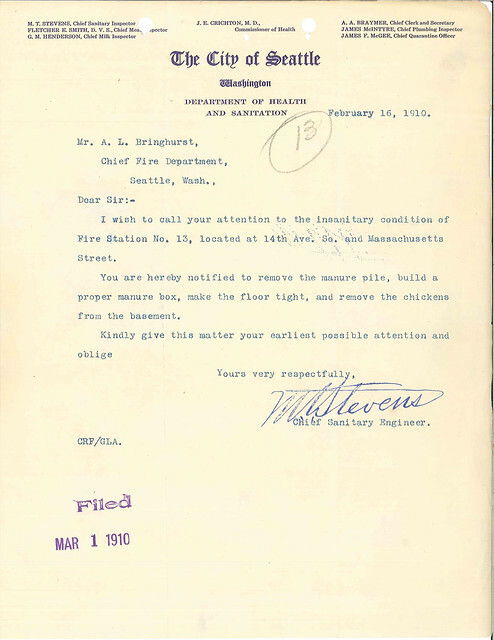 Courtesy of the Seattle Municipal Archives. 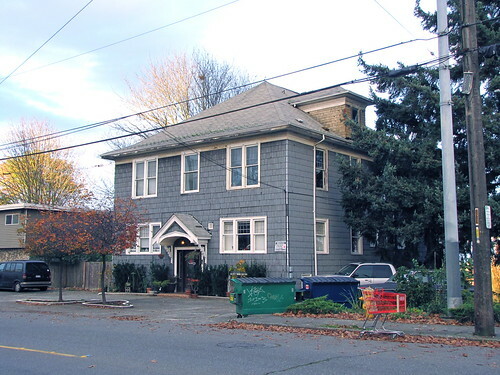 14th and Hinds near Columbian Way, 2009. 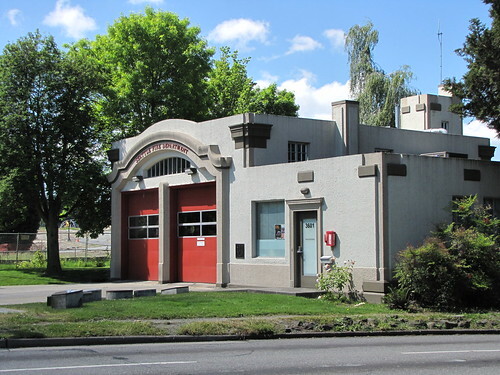 There are a few changes from the 1956 photo to today, though the site is still clearly recognizable. 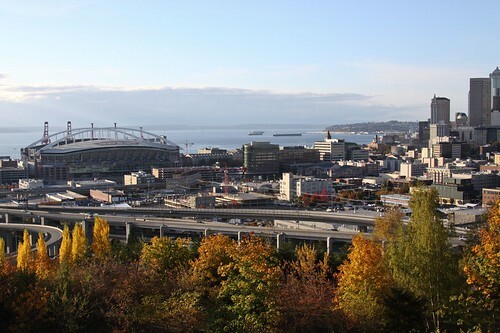 This is just north of where Columbian Way carries the I-5 and West Seattle Bridge ramp traffic up toward Beacon Hill. In the 1956 photo, there are much fewer trees and plants than we see in the modern view. 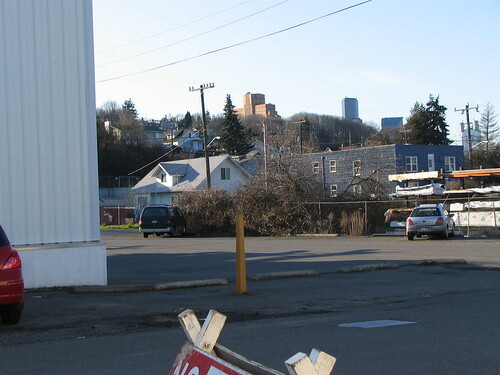 The empty lot on the left side of the old photo is now the big apartment building at Columbian and Spokane, though it’s hidden behind trees in the new photo. The Columbian/Spokane intersection is rather busy now, but there’s no obvious traffic signal there in the 1956 photo. The sidewalk on the right side of 14th no longer exists; the space is now blocked by a chain-link fence. 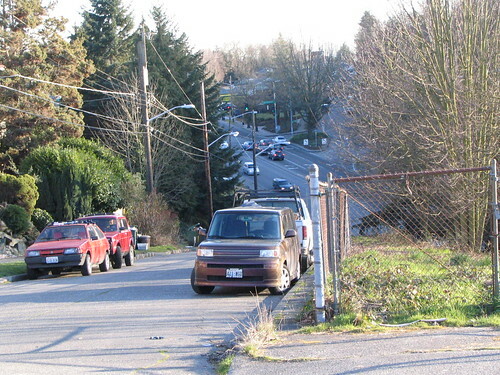 And the car turning right onto Columbian at the bottom of the hill is doing something that is no longer legal; 14th is a one-way street going northbound in this area now. 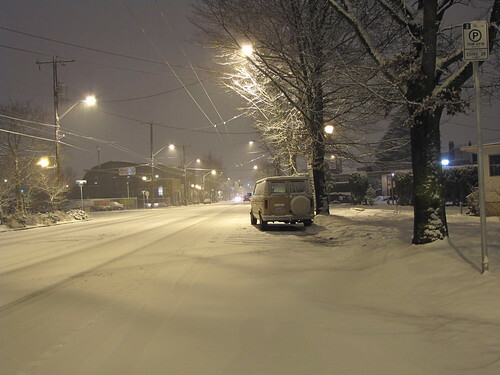 However, while I was taking the current-day photo, a car sped past me, down the hill, and took the right turn anyway.